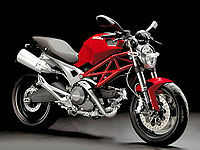 Ducati Monster 696 is the 2008 generation of the Ducati Monster line of motorcycles. 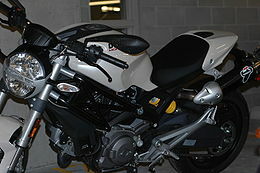 It was announced in November 2007 and includes some improvements in ergonomics including the lowest seat height of any Ducati. Weight has been reduced 5kg on the previous model, the Monster 695. It was officially launched in early April 2008 in Barcelona. ↑ webbikeworld.com. Ducati announces the Monster 696. Retrieved on 2007-11-14. This page was last edited on 27 November 2010, at 20:28.